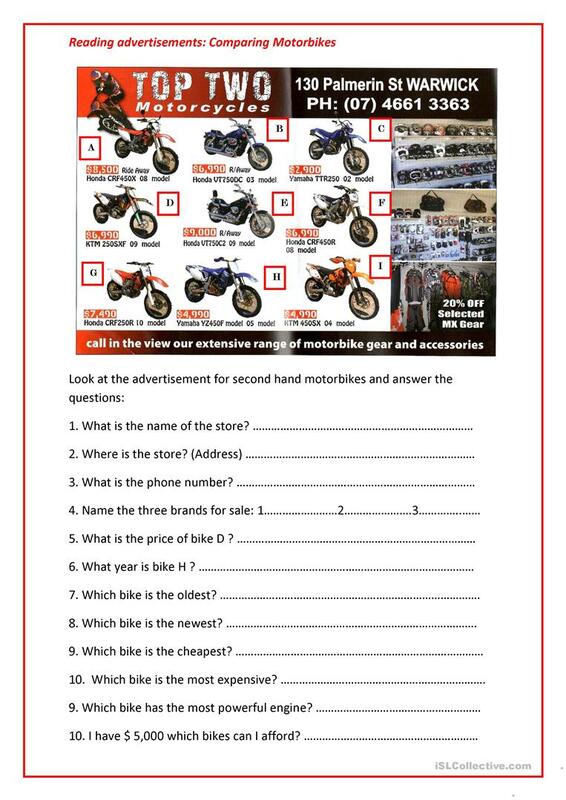 Students have to look at the advertisement and use the information to answer questions. Covers shopping vocabulary (brand, price, afford) Includes superlatives. Editable questions. This downloadable teaching material is meant for high school students and adults at Elementary (A1) and Pre-intermediate (A2) level. It is valuable for revising Comparison (comparative and superlative) in English, and was designed for improving your pupils' Reading skills. It is focused on the vocabulary topic of Means of transport. 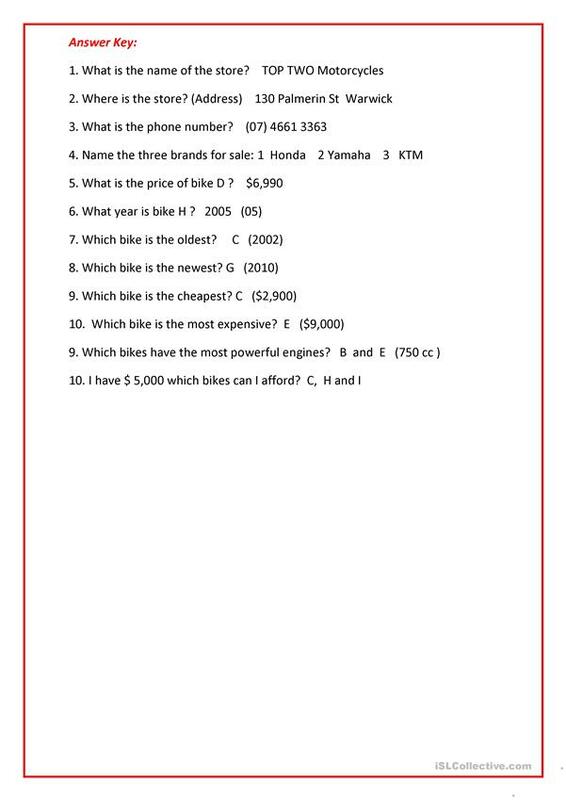 The answer key is provided, too.